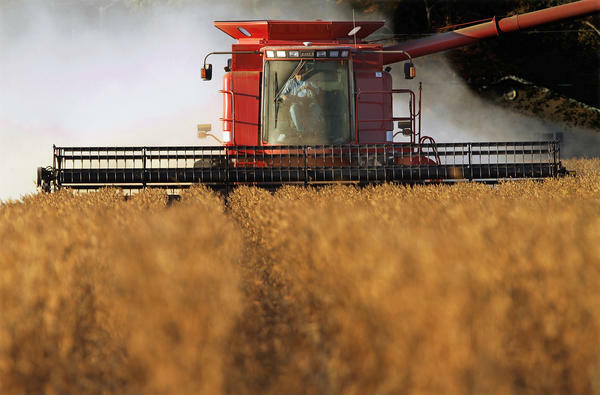 A farmer harvests his soybean crops near Farmingdale, Ill. Because China is major importer of America's soybeans, the sector is one predicted target for tariff retaliation. The United States exported more than 30 million tons of soybeans — worth more than $10 billion — to China last year, over 57 percent of total U.S. exports of the popular legume. 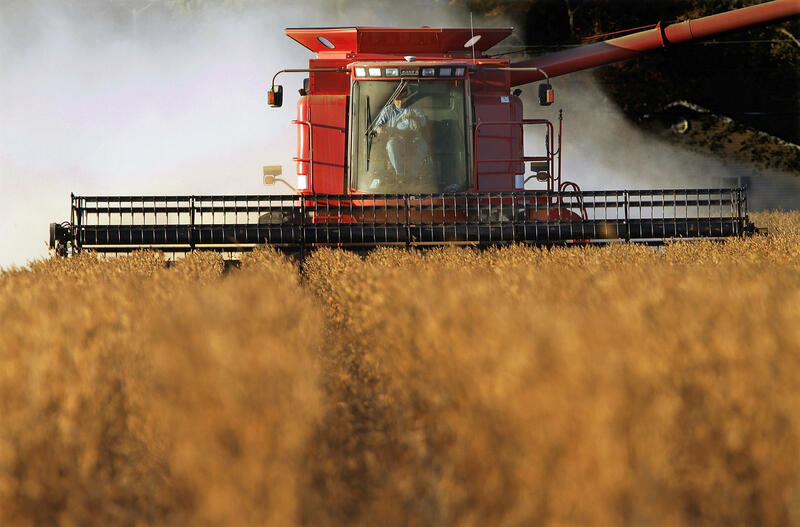 This week, the Chinese state-run tabloid Global Times said in an editorial that U.S. government subsidies have given American soybean farmers an unfair advantage in China and that strong restrictive measures will be needed to prevent further "dumping" of U.S. soybeans in the Chinese market. China could rely more on South America for soy: Brazil exported more soybeans than ever last year — nearly 51 million tons — and nearly all of it went to China. Should China take measures against U.S. soybean imports, it would likely hurt American farmers, a base of support for Trump. The U.S. aircraft giant manufactures more than half of all commercial jetliners operating in China today. Last November, Boeing signed an agreement to sell 300 planes to China worth $37 billion. And in its market outlook, the company predicted rising airplane demand from China. In 2016, Boeing's then-vice chairman, Ray Conner, said Chinese orders support about 150,000 American jobs. China may reduce orders from Boeing in favor of planes from European rival Airbus. China has already launched an anti-dumping and anti-subsidy investigation into imports of the grain from the United States as retaliation for the Trump administration's steep tariffs on Chinese solar panels and washing machines earlier this year. China is the top buyer of America's sorghum. Last year, the U.S. supplied 4.76 million of China's 5 million metric tons of sorghum imports, a quantity worth $1.1 billion. China could retaliate after its investigation wraps up, expected next February. China is a major market for the iPhone maker. Apple also depends on China's workforce to make most of its products. As a result, China's government has enormous leverage over the company and could, as it has in the past, target Apple for violating Chinese consumer rights. GM sells way more vehicles in China than in the United States. China has been GM's largest retail market for six years straight. The carmaker and its joint ventures sold 4 million vehicles in China in 2017, up 4.4 percent from the previous high a year earlier. Chinese automakers like Geely and BYD are competing for market share, though, and China could make it more difficult for both GM and Ford to operate on Chinese soil. In late 2016, China fined GM's China joint venture $29 million for "price fixing," or setting minimum prices for certain Cadillac, Chevy and Buick models. The fine followed comments from the then-President-elect Trump questioning the "One China" policy, in which Washington acknowledges Beijing's claim that Taiwan is part of China.